Play All Your Media Files With Ease! MediaPlayer10 makes it easy to watch any video file or listen to any audio file on your computer. Play all your favorite media with no hassles! MediaPlayer10 is compatible with all audio & video formats. Simple, easy to understand player window means you’ll be watching your shows & listening to music in no time! MediaPlayer10 won’t take up a lot of space on your hard drive or slow down your computer. Big functionality in a small package! 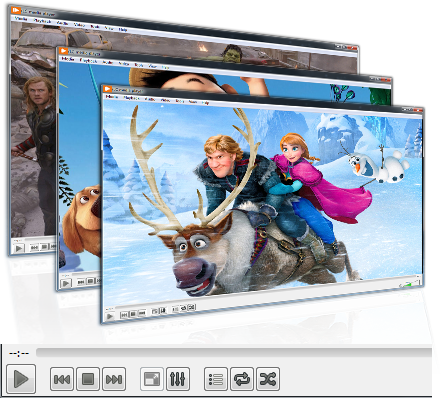 Whether it’s video, audio, CDs, DVDs, or other downloaded content, MediaPlayer10 will play it all with ease. Unplayable media files are a thing of the past! MediaPlayer10 finds missing codecs & completes your files for smooth playback. A simple player interface also includes advanced functionality, including frame-by-frame & slow motion playback. MediaPlayer10 is a comprehensive, multi-format MediaPlayer that will keep you entertained! MediaPlayer10 is compatible with popular video and audio formats, including MPEG, AVI, FLV, MKV, WMV, MOV, MP3, AIFF, AVI, and much more. MediaPlayer10 also plays broken and incomplete files! Join the scores of people using MediaPlayer10. Are you ready to experience the best user interface and versatile compatibility available on the Web? Get MediaPlayer10 today!